Graduation season is fast approaching. Have you thought about sending out announcements? If you are still thinking about it, here are 5 reasons why it is a must. Your child, whether they are graduating from 8th grade, high school, or college has achieved a milestone. You deserve to brag and boast to family and friends about how proud you feel. Family and friends will appreciate it! They will love that you wanted to share in the big news with them. If it is a college graduation, this is a great way to help your child network. Many of your family and friends may have positions in your child’s field, so an announcement is the first step in creating connections. It is a keepsake. As you document the story of your child’s life, a graduation announcement is an important part of it. Years down the road, it will be the perfect way to look back on a major accomplishment and an exciting time in your lives. A perfect way to say thank you. Often times, many people along the way have helped your child become the person he/she is. So, informing them with the news is a great way to let them know how important they were in your child’s accomplishment. Are you ready to get a jumpstart on your graduation announcements? Bellia Print and Design can help. We are experienced printers, so you can be sure that not only will you get the highest quality printed announcements, but our printing experts will give you advice and guidance to make them extra special. Give us a call today to get started! When you are ready to pick out the perfect invitation for your wedding, it can sometimes be as stressful as finding the perfect dress. What will set the tone for your entire wedding is the invitation. With so many styles, fonts and sizes, the task can seem monumental. Here are three tips that might make things a little easier. Decide on a wedding theme. 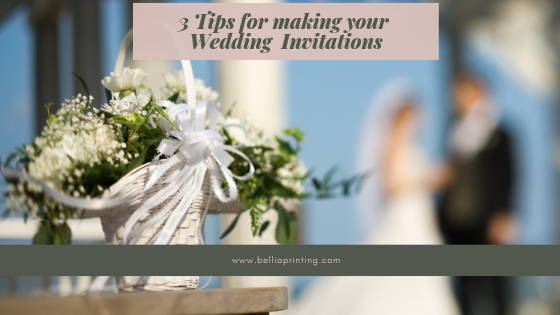 Before you can even think about your invitation, it is important to figure out what type of wedding you are going to have. Will it be romantic, urban chic, beachy, or rustic? The invitation will give your guests a chance to get excited and get a sneak peak into what to expect from your wedding. Choose an experienced printer. When you choose a high quality printer, they will have templates in which you can choose a design from or they will have a graphic designer on site to custom make your wedding invitation. Additionally, they have the experience and know-how to help you choose your font and layout. If they are experienced, they know what is trending with weddings, and know what will suit your theme perfectly. Stay on budget.. Wedding invites can add up and are often very expensive. Setting up a realistic invitation budget is necessary. When determining your budget, you will need to consider quantity, embellishments, paper quality, envelopes and more. At Bella Print and Design, our experienced staff has been helping customers for over 4 decades. We understand that the details of your wedding day or are important and we know what it takes to create, print and deliver a package that will make your day memorable. Call us today for a free quote! 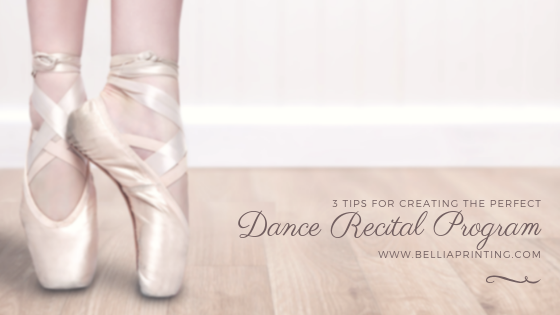 Looking to create the perfect keepsake for parents, grandparents and students at your next dance recital? Here are a few tips for saving your time, money and creating a high-quality program for your next recital. Once you put the program together, make sure you double and triple check it because once you send it to the printer, if there is a major error, it can’t be undone. So make sure that not only the person creating it has proofed it, but let a few people take a look over the program. When it comes to proofreading, another set of eyes or two will often pick up on errors that you might miss! There are many ways that you can save money when creating your program, and one way to do that is by changing the specs. When you use a high-quality printing company like Bellia Print and Design, they can offer suggestions as to choose options like paper, changing the size and shape of your program, sometimes even adjusting fonts will make a difference. So just ask us! When you used an experience printer like Bellia Print and Design you can be sure that not only will you get the highest quality printed programs, advice from our printing experts to make them extra special for your recital, and the fairest pricing around. Give us a call today to get started! We are social! 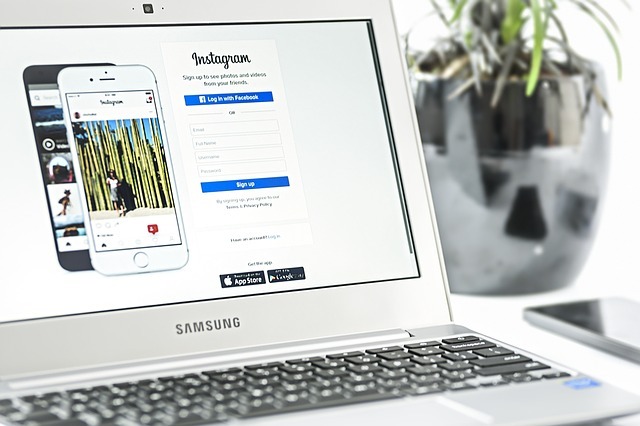 Here at Bellia Print and Design, we love connecting with our customers. Whether that is in the store, within the community or online. We are so proud to be a part of your lives for so many years. 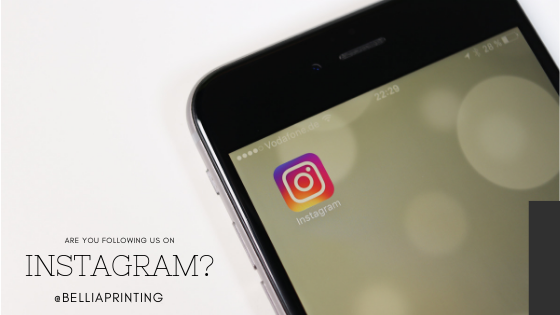 We would love it if you would head to Instagram and search for belliaprinting and if you really want to make us smile share and tag us on one of your favorite printed materials! 1 – Shorter Turnaround: With digital printing, there are no lengthy setups so we can get your job done fast. Our added promise: since we are printing in-house, we closely monitor the quality of your job every time! 2 – Affordable: Because we save on time, we save you on high set up fees! Choosing digital print gives you lower per costs price for most print runs, and as your quantity goes up you can save more. 3 – High Quality: Today’s advances have increased the quality and accuracy of digital printers, and Bellia has invested in top of the line digital printers to increase quality prints comparable to offset printing. 4 – More Options: In this ever growing technology era, digital printing has evolved to offer advanced printing techniques like foil stamping, die cuts, raised printing, UV & aqueous finishes, binding options, and variable data personalization. And why you are at it, use Variable Data to personalize your materials! By using Variable Data to customize your mail pieces, Bellia Print and Design can tailor the project to speak directly to your customer, increase interest and ensure that your mail marketing efforts are more effectively! 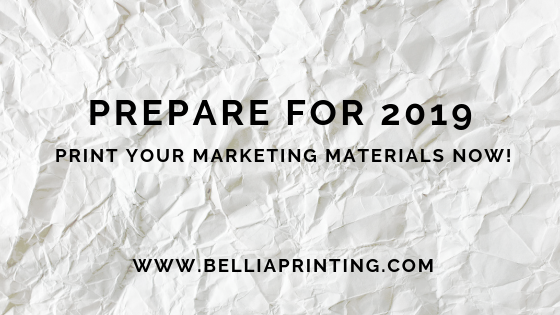 Prepare for 2019 – print your marketing materials now! Use it, don’t lose it! The end of the year is almost here! So get a jump start on 2019 and order your new marketing materials! Visit us at www.belliaprinting.com for some more ideas and to get a quote. We look forward to helping you prepare for the upcoming year with the ultimate goal of assisting you in growing your business. Bellia Print and Design is pleased to announce that we are celebrating our 45th year in business. We a third generation family owned and operated business that was founded by Nancy and Salvatore Bellia in October of 1973 when a small printing company was purchased in Woodbury, NJ. Sons, Anthony Sr and Tom, continued to build and expand Bellia throughout the 80s and 90s and is now run by the third generation, grandsons Anthony, Michael, Andrew and Salvatore, and it is made up of two successful businesses, Bellia Print and Design and Bellia Workspace Professionals. As we continue to grow, we remain steadfast in our ideals and principles of integrity, quality service, community involvement and providing a family atmosphere. We want to thank our customers, our staff and the community for making our business the strong family business it is today. Securing the best space that you can afford is worth it. Sometimes a good space is too expensive, so you can try to partner up with another business so that you can share the cost. One of the best locations to choose is facing the end of a long row, that way people will be walking towards you all day and your brand will get noticed. Customize your backdrop. A custom backdrop will help your brand stand out from the rest. 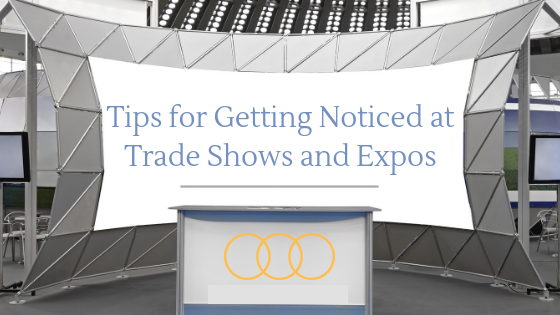 Oftentimes expos and craft shows feature hundreds of other vendors, so customizing your backdrop can creating an inviting and personalized space for customers to visit. Hang a banner. One of the best ways to advertise your brand is with a banner that uses bold colors. By displaying your banner is a spot that can be easily seen, people who are walking by are going to want to stop and take a look. Provide business cards. By keeping a stack of business cards on your table, it will guarantee that potential customers will remember you. Make sure that your business cards include your website, so customers can see what your have to offer. Distribute Brochures. Sometimes at big expos or shows, you are too busy to get to every customer immediately. While people are waiting to speak to you, you can let them view a brochure to find out more about you. Display signage. Printed signage is easy to hang from piping or display on tabletops.Custom signage will allow customers to know what they are looking at and the price. Getting ready for a trade show or expo, at Bellia Print & Design, we have an experienced team of graphic designers who can help you create and customize everything you need. Call us today for more information. 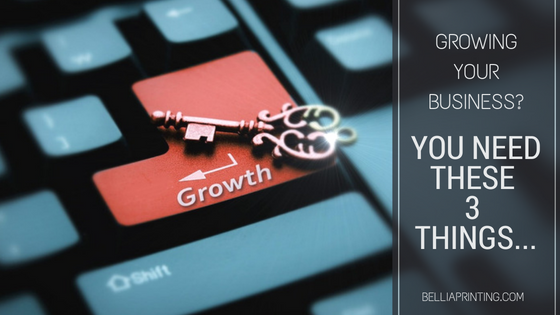 Growing Your Business? You need these 3 things! Are you looking to take your business, to the next level? Congratulations! Here are the 3 printed items that your business needs. 1 – Business cards: While growing a business it is important to give business cards out frequently. You never know who is in the market for your services. Make sure that your business cards are professional and easy to read. 2- Brochures and flyers: A professional brochure or one-page flyer will help communicate that you’re a specialist in your industry. Professional graphics and designs are essential – a basic brochure can be a turn off. 3- Letterhead and envelopes: Professional letterhead is vital for sending invoices, thank you notes, cover letters, etc., and exudes professionalism and stability. It should have the company logo, as well as the company name, address, phone number, and website. Do you need help creating new printed items for your business? Give us a call at (856) 845-2234 or contact us on our website.